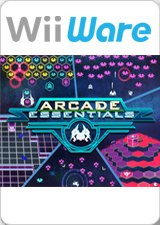 Arcade Essentials is a collection of five classic arcade games. The games are time-proven and some of the most popular games ever! All the games are presented in a modern reincarnation with enhanced gameplay, stylish graphics and sound effects. Jump straight in, enjoy the non-stop gameplay, and immerse yourself in these classic games as you did many years ago. The graph below charts the compatibility with Arcade Essentials since Dolphin's 2.0 release, listing revisions only where a compatibility change occurred. This page was last edited on 17 February 2018, at 11:16.